Key Difference: Fear is a natural emotional response which has been essential in human evolution. It keeps people safe, whereas a phobia is an anxiety disorder. It is an irrational fear which affects a person’s quality of life. The terms fear and phobia are directly associated with each other, however, they are still very confusing. Where do one end and the other starts? Are they the same thing? How are they different? These are some of the many queries attached to fear and phobia. Hence, it is no wonder that people are confused. Also see Anxiety Vs. Panic attacks. Fear is a vital human physical and psychological response. It has been integral to human evolution. 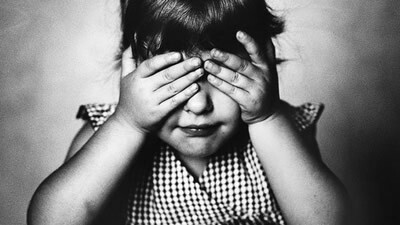 Fear allows one to acknowledge something that might harm them so that they may be able to preserve themselves. For example, the fear of burning and of pain allows one to acknowledge that they shouldn’t stick their hands in a fire. However, there are times when fear gets out of hand, like when a person afraid of getting sick does not leave the house at all. A regular response to fear is when a person who is afraid of getting sick will move away from someone else who is sick for fear of catching their illness. 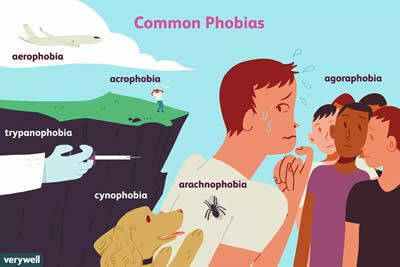 However, a person with a phobia is one who won’t leave their house because they see germs everywhere. They may also clean their house an unnecessary amount of times as a way to get rid of the germs. Difference between anxiety and nervousness. Fear is normal and rational. It keeps one safe. However, when that fear starts becoming irrational and starts interfering in the quality of life that is when it would start becoming a phobia. For example, a person who is afraid of heights will not climb on to a tall ledge and look down, but a person with a phobia won’t even go above a couple of floors inside an enclosed building. In addition to this, there are certain physical differences between fear and phobia as well. Both fear and phobia induce certain physical characteristics within a person. Usually fear is more subtle than a phobia. It induces butterflies in the stomach, accelerated breathing, increased pulse rate, sweating, nervousness, muscle tension, alertness, goosebumps, etc. But the person will usually be able to deal with these symptoms and carry on with their activities. Phobia, on the other hand, can induce all of these symptoms, as well as worsening symptoms, such as distress, panic attacks, fainting, chest pains, and more. In this case, the person will know that their fear, anxiety, and reaction are irrational and unnecessary, but they won’t be able to do anything about it. In severe cases, people literally seize up with fear and cannot move or function at all. In these cases, it is more than just common fear, it is a phobia. Another difference between the two is the fact that fear is temporary. Everyone faces fear at times, for example when someone is in a car accident. The person will be afraid for the duration of the accident and even for some time after, but eventually, that fear will pass in a few hours, days, or sometimes weeks. However, a phobia is constant. If that person would develop a phobia of cars, then they will likely never enter a car again or will do extremely rarely and in most dire circumstances. The rule of thumb is that if the fear lasts for more than 6 months then it can be classified as a phobia. The other factor is, of course, the severity of their fear. Refusing to even board an airplane, or canceling plans that require flying. Butterflies in the stomach, accelerated breathing, increased pulse rate, sweating, nervousness, muscle tension, alertness, goosebumps, etc. Everything in fear, but much more heightened or worse, as well as, Distress, Panic Attacks, Fainting, Chest Pains, etc.